So thank you for commenting, sharing, or just continuing to check back for updates. I appreciate it! RedHerringJeff, thank you for including my blog in your very generous blog post on Monday. Like you said, blogging can "feel a lot like having a conversation with yourself," so it's extra nice to make unexpected connections...especially with fellow artists! Congrats! Connie. Enjoy your cartoons, as mentioned, they are short, funny and insightful! Well done. You're so welcome! 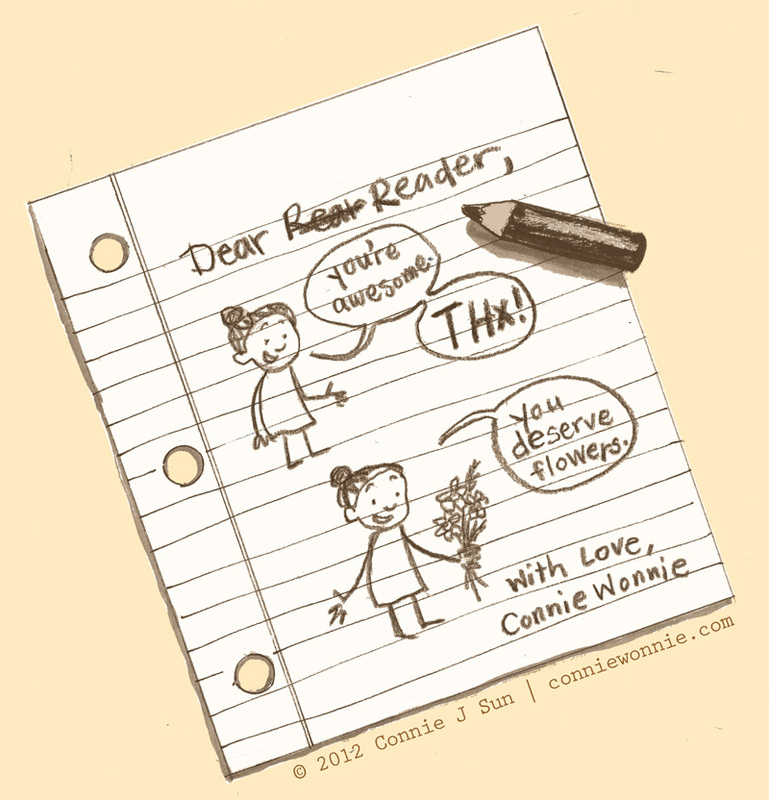 I love reading your blog every day, and really should be better about commenting more often, ha-ha-ha! Thanks for shareing! Love ur site! Thanks to you for putting it up on the web! U r so gifted. 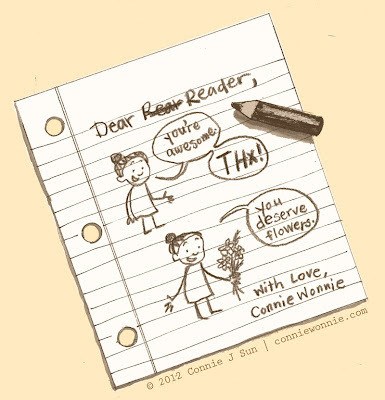 I love reading your blog Connie, keep it up! How time flies. My wife was talking to a friend on Skype yesterday and she was telling her about your blog. Slowly but surely the word is spreading. Keep going. Thanks so much, everyone! I appreciate the encouragement!